Keep your eyes and heart open for synchronicities. Wondering what those are? Let me tell you (and by that, I mean copy/paste the definition from Wikipedia); "Synchronicity is a concept, first introduced by analytical psychologist Carl Jung, which holds that events are "meaningful coincidences" if they occur with no causal relationship yet seem to be meaningfully related." I learned that acting upon things that feel like "meaningful coincidences" can create powerful, positive change in your life. Change is inevitable, so why not orient it in the direction of your choosing? A great way of doing that is setting an intention and acting on what feels meaningful. Whether that meaning is all in your head or some mystical universal 'woo', what does it matter if the results benefit your life? Well this afternoon I subject to a synchronistic event that I decided to act upon. Whilst idly scrolling through instagram (something I'm getting better at doing less of, I promise) during a break, I happened across an interesting video post from The New York Times best selling author, Scott Carney. 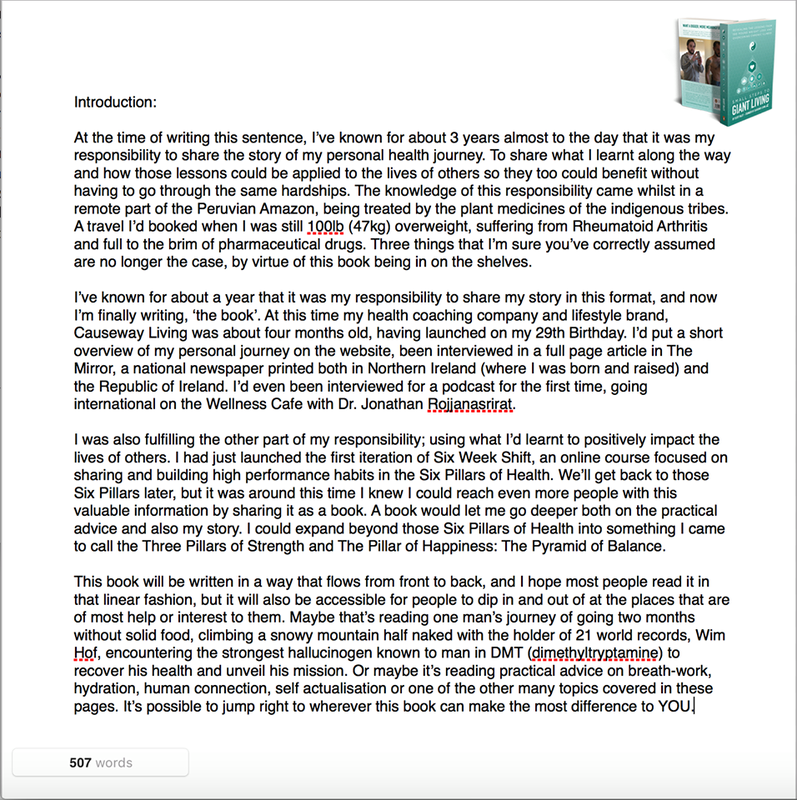 In this post he offered the practical advice to aspiring authors that if they wrote 500 words a day, they'll have their book in 8 months time. Easy as that. If that isn't a big universal, "set down your phone and write 500 words", I don't what what is. I should note here, Scott's other piece of advice was having your structure in place first (which I do, another coincidence that seems meaningful) so it was easy to get straight into it. The final piece of advice was not to edit, go back and do that once the first draft book is in place, so that's what I'm going to do. 500-words-a-day challenge accepted. ** Update as of March 31st 2018 - I have failed until now to really stick to the practice of 500 words a day. I've undergone some dramatic upheaval in my life the past few months, but it's intention to carry on the writing process and still achieve my 2018 target of writing the book.